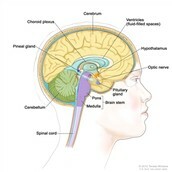 Brain cancer is caused by malignant tumors in the brain. 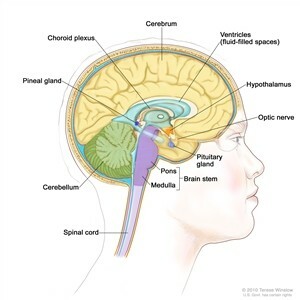 Tumors are created by abnormal growth of cells in the body. Not all tumors are cancerous though. Anyone can have this type of cancer, and the mortality rate is usually higher than the survival rate. The disease is non-communicable (You can’t catch it), it is also treatable. The diagnosis are usually correct and there are different methods of treating it. Many times to diagnose brain cancer, you have at CT Scan, doctors inject you with harmless dyes that go through your bloodstream to show problems. 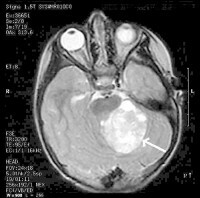 Sometimes it is a MRI Scan; which has more precise way of identifying the tumor in the brain, most places still use CT scan as first diagnosis. Some symptoms are headaches, weakness, clumsiness, difficulty walking and seizures.